I am delighted by this model! I have had some very unsuccessful arguments with various services over the years about these concepts but lacked a model to refer to specifically. I often encounter myths such as “very few people with mental illnesses have experienced trauma” (by far the opposite is true, the majority of people in the mental health system have experienced trauma or abuse). I am particularly taken with how well this TIC model dovetails with the values and principles of the Recovery model. One of the things I have also been trying to communicate is that TIC is not inappropriate for the untraumatised! It is helpful for everyone to be treated with respect, given choice, and supported to exercise control over their own life. People who have experienced trauma tend to have extra sensitivities in areas such as control, proximity and touch, confinement, new people and environments, and trust. Certainly in the areas I’m involved in as a Peer Worker it is crucial that services are trauma-informed. I am really pleased that Bridges has been operating from TIC principles and I’m keen to do more reading in this area and make sure that all Dissociative Initiative resources and services operate in this way. Adult Survivors of Child Abuse (ASCA) have a wonderful page full of resources about TIC here. There is a government training powerpoint about TIC that is nice and easy to read here. This document is much more dense, but I particularly like the distinction between Trauma Informed Care and Trauma Specific Services on page 15. There is a brief clear overview of the need for TIC in this newsletter. Here is a brief video about TIC particularly with children. 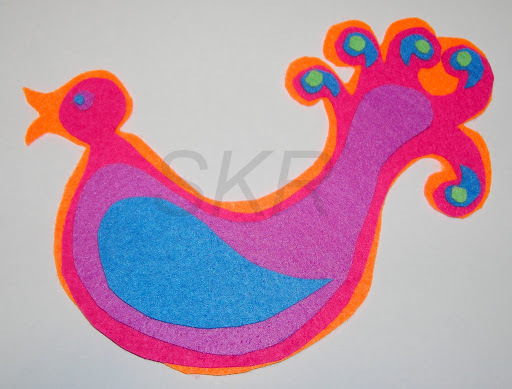 The rainbow bird for me represents wholeness, diversity, community, creativity and joy. All the colours are distinct but together form a whole, complementing each other. This resembles my dear friendships with such diverse people who nevertheless all contribute so much to my life and together create a community. The tail feathers resemble tears because for me, grief and pain are intrinsically linked to my experiences of joy and wholeness. They are not forgotten and not hidden, but instead are part of the beauty and authenticity of the whole person. The brightness of the colours and the rainbow represents creativity, expressiveness, imagination, dreaming, and joy; each of which have been essential components of my own recovery.